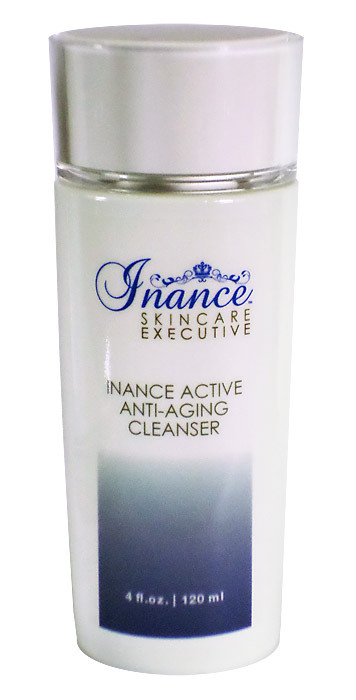 An aromatic gel cleanser that refreshes as it cleans, leaving skin feeling firmer and looking more vibrant. Infused with potent anti-oxidants and fruit oils which add vital nourishment to environmentally stressed or dehydrated skin. Excellent also for mature skin as this rich, nourishing cleanser restores natural moisture often lost over time or resulting from improper care. 4 oz. Ingredients: Aqua (purified water), decyl glucoside, ammonium laureth sulphate, cocamide DEA, cocamidopropyl betaine, acrylates/ steareth-20 methacrylate copolymer, styrene/acrylates copolymer, tetrahydroxypropyl ethylenediamine (neutrol TE), vaccinum macrocarpon (cranberry) fruit oil, citric acid, aloe barbadensis (aloe vera) leaf extract, camellia sinensis (green tea) leaf extract, camellia sinensis (white tea) leaf extract, aspalathus linearis (rooibos red tea) leaf extract, rosa canina (rosehip) fruit extract, vaccinum macrocarpon (cranberry) fruit oil, silybum marianum (milk thistle) seed extract, phenoxyethanol (and) caprylyl glycol (and) sorbic acid, mineral mica.